Prices for Samsung’s budget SSD line hit the floor without a hit to read/write speeds. Amid an industry-wide drop in solid state drive prices, Samsung is entering the fray with its new 750 EVO SSD line. Samsung’s new solid state drives are noteworthy for a few reasons. For one thing, they’re pretty cheap compared to the company’s previous efforts, with suggested prices of $55 for 120GB and $75 for 250GB. It’s likely those prices will fall even further once the drives spend some time on retail shelves. While those prices per gigabyte aren’t unusual these days, the 750 EVO’s speeds are a bit faster than what you’d find in a typical budget SSD. Samsung is promising sequential read speeds of up to 540MBps and write speeds of up to 520MBps, thanks to the company’s TurboWrite technology that simulates more expensive SLC flash memory technology on a portion of the drive. It’s also worth noting that the 750 EVO uses planar NAND, rather than the 3D NAND that Samsung has been championing for the last couple of years. Planar NAND can’t pack in memory as densely, but as PC Perspective notes, performance issues can occur when a drive has too few dies. The ultra-dense 3D NAND tech doesn’t make as much sense for the 750 EVO’s smaller, entry-level drives. Samsung’s new drives owe their low prices largely to the use of TLC flash memory technology, which on the downside wears faster than the MLC tech in Samsung’s pricier 850 EVO line—though the 750 EVO will still last for years and years under normal use, barring some sort of hardware failure. 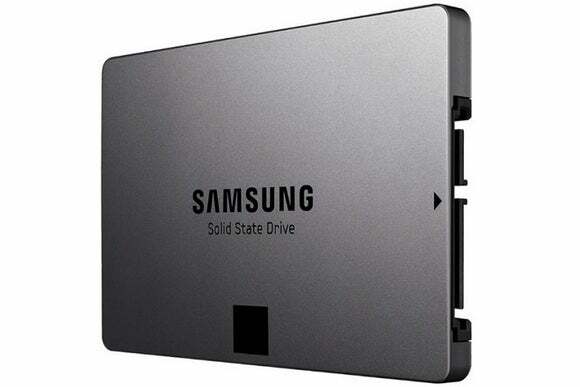 Anandtech also reports that the drives use a dual-core MGX controller rather than the company’s usual triple-core architecture, and the upper bound of 250GB capacity means Samsung can use a smaller circuit board for the entire line. The 750 EVO is a successor, of sorts, to Samsung’s 840 EVO, another planar drive that debuted in 2013 and had a spotty history. Regressions in performance over time prompted Samsung to release several firmware fixes. 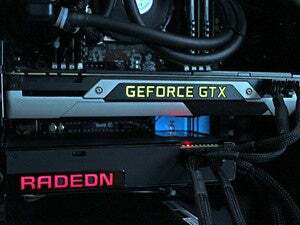 The company told PC Perspective that those same corrections should apply to the newer drives. Why this matters: Samsung drives tend to be associated with higher performance and prices, but the company doesn’t want to be left out of the low end as SSD prices plummet. Although the 750 EVO is using older tech to achieve those prices, its faster speeds could be worth the small handful of dollars that Samsung is asking.